Are any of you all baseball fans? Well, being from the St. Louis area, you can probably guess I am a BIG-TIME St. Louis Cardinals baseball fan? And with spring training in full swing, I can hardly wait for opening day! When I was a kid, I would particularly like watching the Cards play the Chicago Cubs when the famous Harry Carey would announce the game and would throw in a "HOLY COW!!!!" every now and then! I was repeatedly saying, "HOLY COW!!!!!!" every time I went to the post office this week! You all are AMAZING and VERY generous! I feel as though this QOV block drive has already been a great success just by "meeting" some of you through blogging and the kind notes you have sent along with some BEAUTIFUL BLOCKS! Please realize, when I started this block drive, I was very modest in my estimation as to how many quilters would participate? I am BEYOND PLEASED with the turn out, and let's keep the ball rolling so we can make as many quilts of valor as we can! Rest assured....I am NOT overwhelmed, nor will I be! After all, this block drive is ALL ABOUT THE VETERANS! ALL, and I do mean ALL blocks received WILL be turned into Quilts of Valor and distributed to veterans by Quilts of Valor, Eastern Missouri. 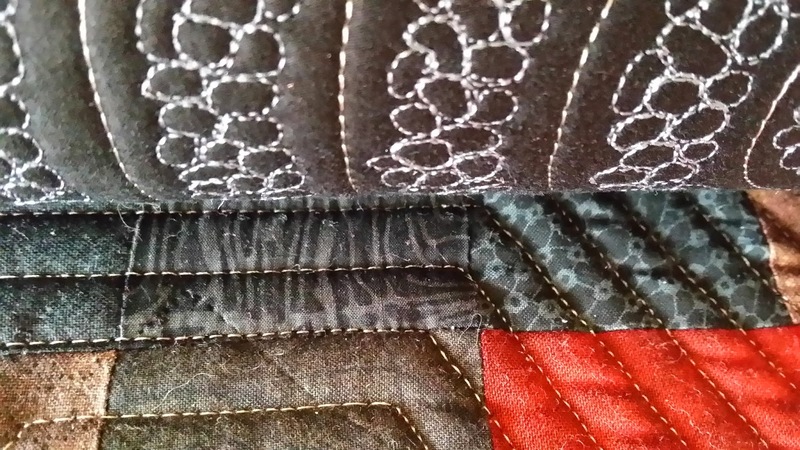 (I have even been receiving offers to help me from some quilting elves!) 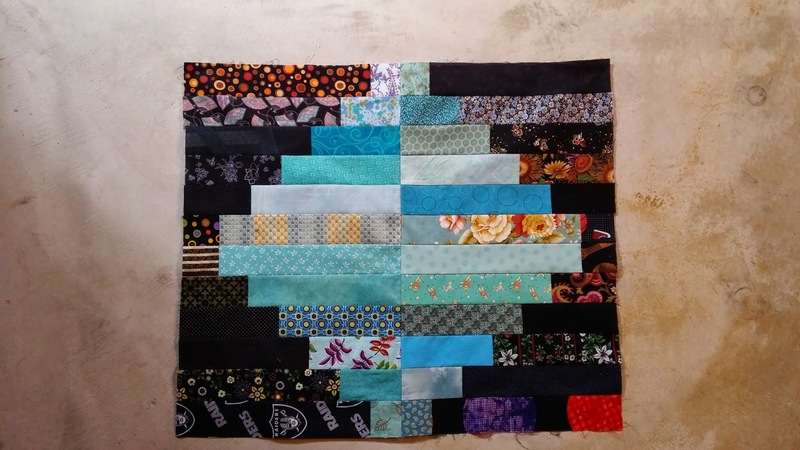 I will be keeping a running total of blocks received during the block drive, and I will post photos of all quilts made from them. This is my passion, and I want to make you all proud to be a part of it! 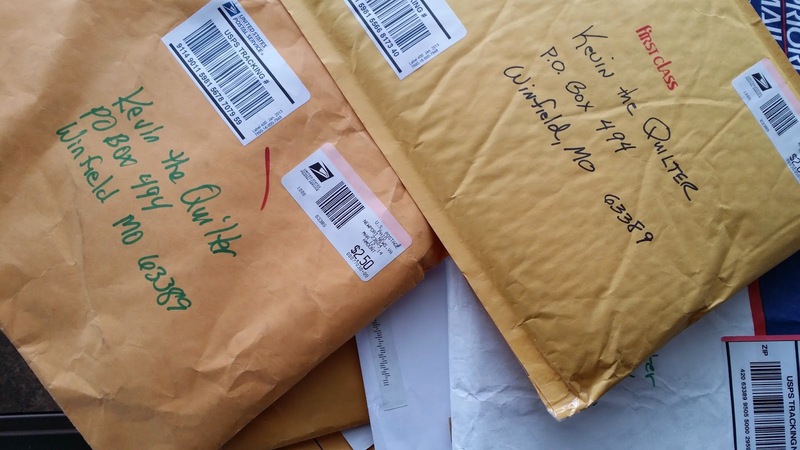 I can't thank Bonnie Hunter of Quiltville and Kim of Pokeytown Kim for believing in this block drive, and thrusting it to so many quilters attention! 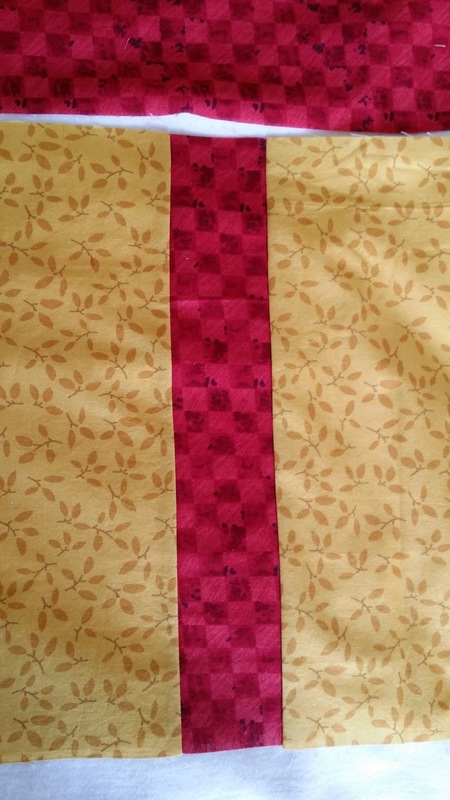 - Quilt blocks should measure 12.5" (12 1/2") UNFINISHED. Reds from Arrest me Red to deep rich reds, try to stay away from pink- reds or burgundy. 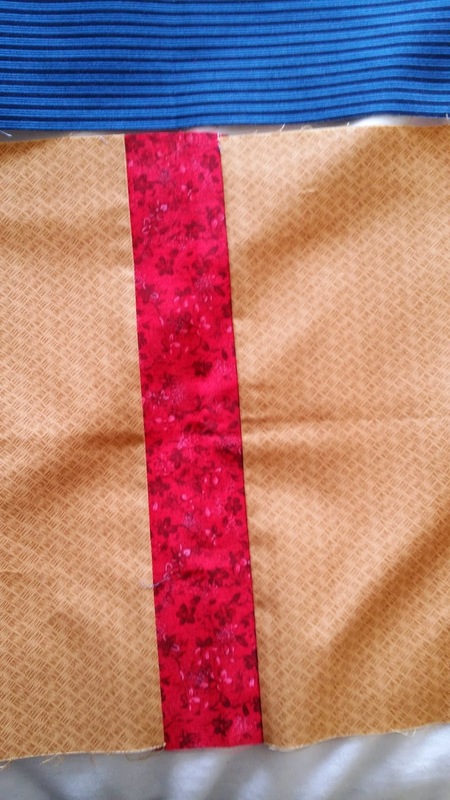 All of these fabrics will read as a solid when placed in the quilts. Please click on the photos to view them larger. You may also contact me by commenting, or e-mailing me from the top right corner of the blog. REMINDER: If you are a no-reply blogger and you do not leave your e-mail address, I CAN'T reply to you. I would love to be able to reply to everyone that asks a question. for donating to the prize packages! 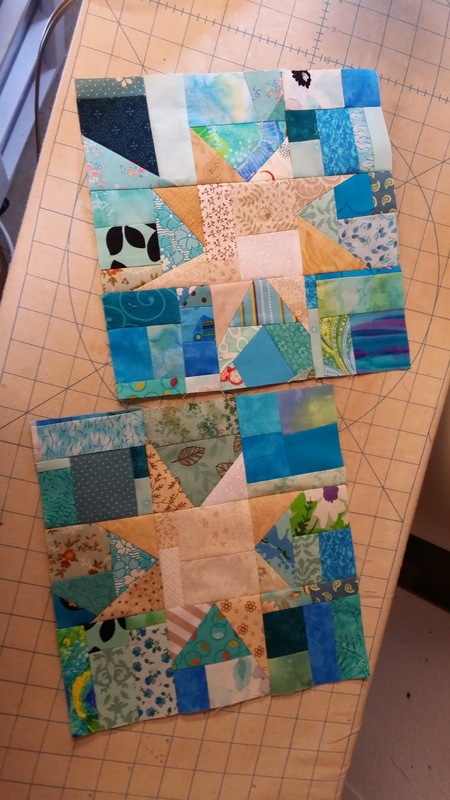 And remember, if you are in the metro St. Louis area, Kelly at O'Sewpersonal Fabric Shop has some great kits that are ready to be made into blocks! Make 5 and enter O'Sewpersonal's block drive! 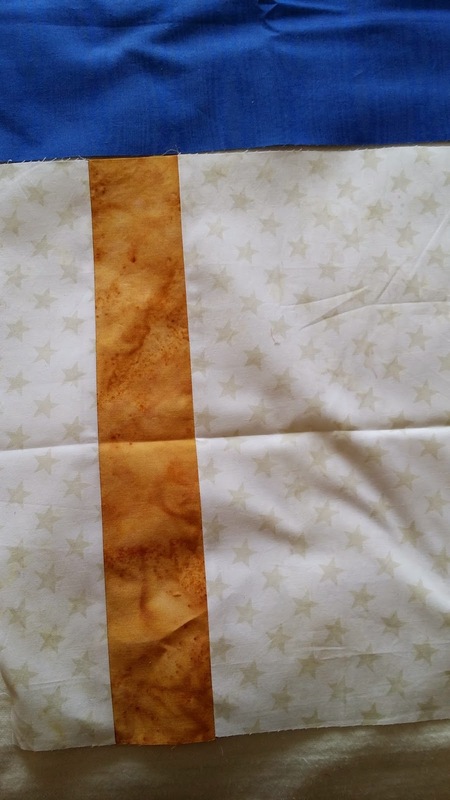 Linking up with Scraphappy Saturday. I wonder what these three photos are of and what they are for? Is it all of the same quilt, or three different quilts???? Thanks again for your continued encouragement! 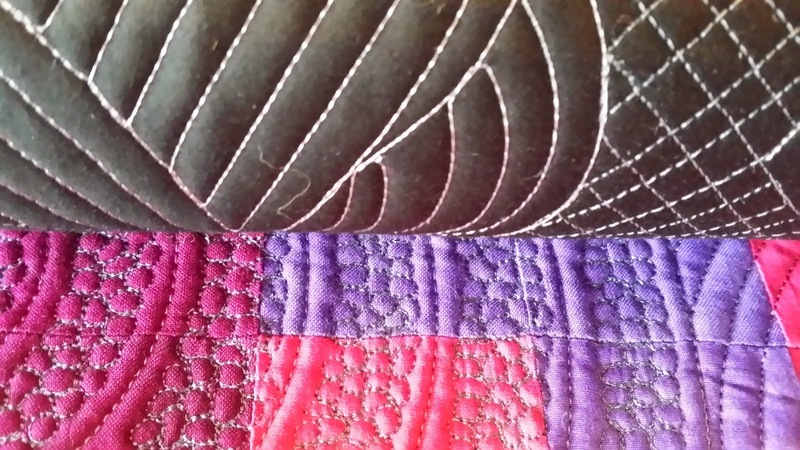 I look forward to showing you many more blocks and quilts next week! I am very thankful for having met IN PERSON some fellow bloggers this week! Holy Cow is right. The is awesome that your received all those blocks. You are doing a wonderful thing making QOV quilts. I also love your teal blocks. AWESOME--way to represent quilters! So happy you have blocks coming in like mad and that you can handle them! I am so glad you are receiving so many blocks and how fun to see my package in the photo!! Great teal blocks and GO Cardinals!! Kevin!!! That is so awesome!! I am proud of you!! And Holeeeee Cow!! is right! 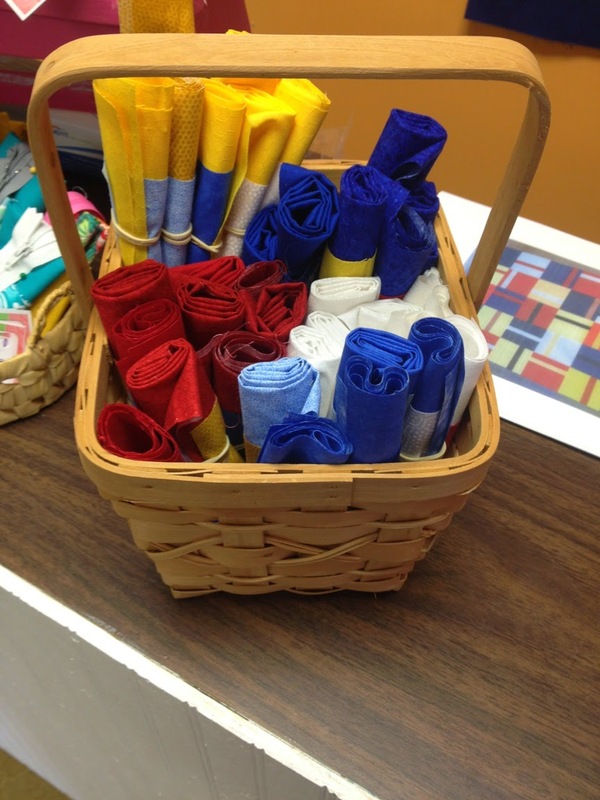 Have you thought about hosting a retreat where we can all come help you make the quilts? St. Louie in the Spring .... hmmm .... Seriously, what are your going to do for backing? And batting? Maybe some of us could help with that. $$$ perhaps? Let us know what else we can do. Here's hoping you get 10 times that many blocks! Woohoo! 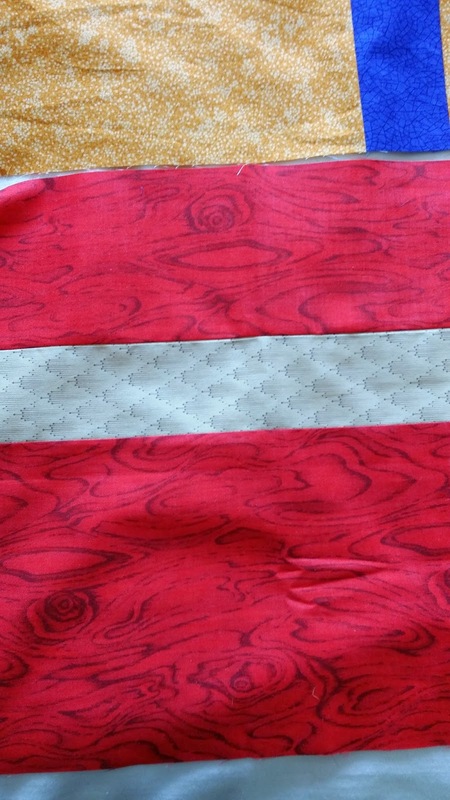 I have Quilts of Valor sew-in on Tuesday, and was thinking of making a top, using your block idea (only with pattern fabric, since that is what is in my stash). for the winners you choose from those who donate 5 or more blocks. 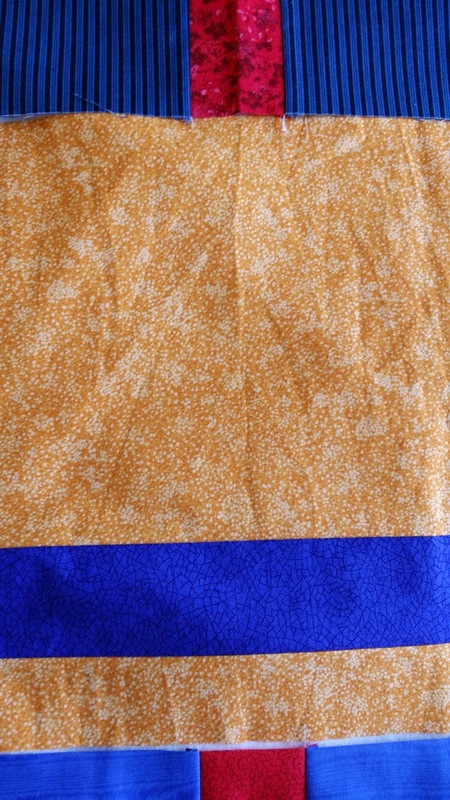 Thanks for showing us some print fabrics that are perfectly acceptable as I am so low on solids!! Ask and ye shall receive! That looks like a whole lot of quilt block goodness! 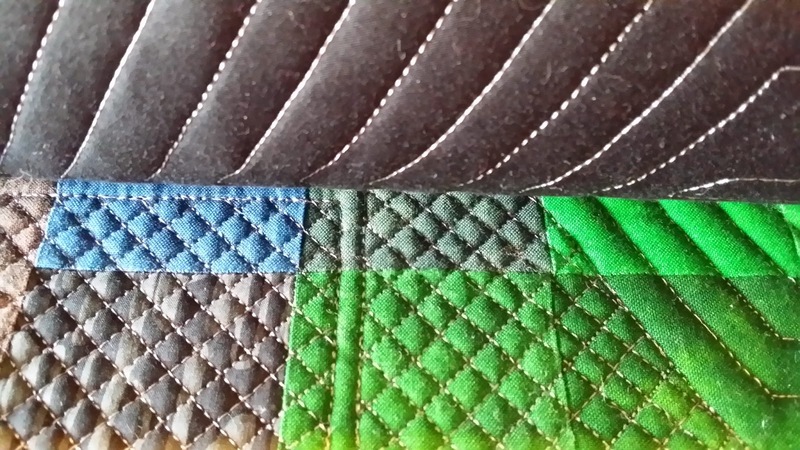 Loving your teal/aqua blocks and the teaser,wow! Yummy rainbow scrap challenge blocks. Your teasers try my patience. ;-D Can't wait to see it! I'm from Kansas City, so I can't say 'go Cardinals', but I'm making some blocks to send. When I was in high school, I would win tickets to see the Cardinals play. It was always fun to go to watch in the stadium rather than on TV. I've got 4 of 5 blocks completed and have started on the 5th. Hope to have those in the mail sometime next week. Wow! this is so exciting! I'm loving the response! Can't wait to start sewing all those blocks together and quilting a few!